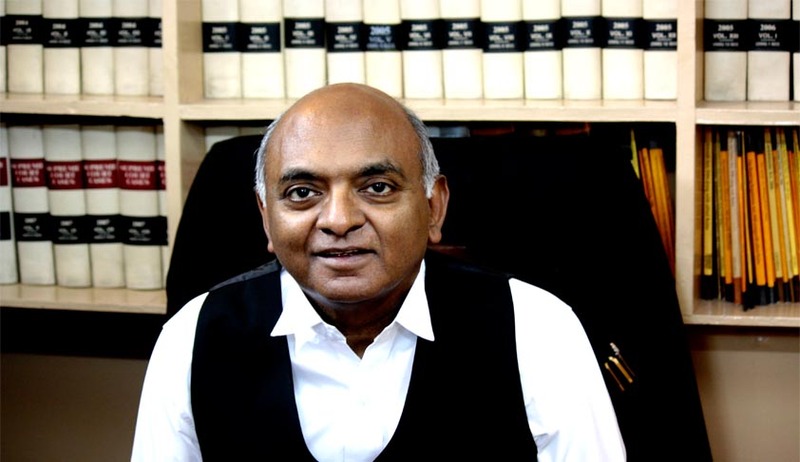 A Senior Advocate at Supreme Court and a former Additional Solicitor General, Raju Ramachandran joined the bar in 1976. He was designated as a Senior Advocate in 1996 at the age of 42 and was appointed as Additional Solicitor General of India for 2002 - 2004. Raju Ramachandran has argued several important cases in the Supreme Court and various High Courts. Ramachandran was the counsel for the Justice Sawant Committee under the Judges Inquiry Act-1968, which probed the charges against Justice V Ramaswami. More recently, he was appointed as an amicus curae in deciding the appeal of Ajmal Kasab in relation to his conviction in the 2008 Mumbai attacks case. Ramachandran has also been co-editor and co-author of many noteworthy books and essays, including ‘Constitutionalism, Human Rights and the Rule of Law-Essays in honour of Soli J Sorabjee', ‘Supreme But Not Infallible' (Essays in Honour of the Supreme Court of India), ‘Supreme Court Practice and Procedure', and author of ‘Changing Profession, Changing Ethics'. Known and respected in the legal fraternity for being an honest and disciplined lawyer, Live Law spoke to Raju Ramachandran on a variety of subjects. Live Law: It is well known that the landmark Kesavananda Bharati judgment inspired you to study law. Please tell us more about how you chose to join the legal profession. Raju Ramachandran:I had got attracted to the law even before Kesavananda Bharati. I was doing a course in journalism during the transition period between school and college. There was a teacher who taught us Press Law, the late Mr. M.S. Sitaramiah. He made the law come alive. That is how I first got attracted. And after seeing the Kesavananda Bharati case being argued, my mind was made up: this is the profession I wanted to be in, and the Supreme Court was the place I wanted to be in. It is only after joining the Bar I realized that everyday practice is a far more mundane affair! Live Law: You were the counsel for the Justice Sawant Committee under the Judges Inquiry Act-1968, which probed the charges against Justice V Ramaswami. Please shed some light on your experience in that matter. Raju Ramachandran:It was a challenging experience, and I must say, a learning experience for all of us, the judges on the committee, the senior counsel assisting the committee (Shri F.S. Nariman and the late Shri Rajendra Singh) and myself. This was the first time the Judges (Inquiry) Act was being worked. Right from the procedure to be followed to the understanding of the word “misbehavior,” precedents were being set. But the efforts of the committee were wasted, because the Congress abstained from voting, and the motion fell through Parliament. But in retrospect, after all these years, I cannot help saying that the financial profligacy which Justice Ramaswami was accused of seems trivial, considering the many more shocking instances of judicial misbehavior which have come to light from time to time. I would also like to put something on record publicly about Justice Ramaswami’s large heart. Many years after the failed impeachment, I was on the lookout for a temporary accommodation to locate my office. Without the slightest hesitation, Justice Ramaswami rented out his premises to me, and when I did not need them anymore, he asked me to find him a suitable tenant! Here was a true judge, who understood that I was only doing my professional duty against him! Live Law: In the recent past, the one case which had caught national imagination was that of AjmalKasab's trial. You had been appointed as the amicus curie in the Kasab Case. How was the experience? Do you believe Kasab got a fair trial? How do you respond to the statement of Justice Pasayat that terrorist deserves no human rights? Raju Ramachandran:The Kasab case experience was an unforgettable one. Since I was the Amicus, I do not wish to speak about the merits of the case including the various contentions which I urged. Before the Supreme Court, I got a very patient and courteous hearing from the judges. Having a fair opponent like GopalSubramanium was also of great help. Contrary to what I was repeatedly being warned about, I received no threats whatsoever from any quarter. There was no pressure from any one. I salute my counterparts in Mumbai who performed their roles in the trial court and the High Court in far more difficult circumstances; they must have faced a lot of local hostility. Live Law: What are the steps we can take to implement a uniform sentencing policy in view of Supreme Court's own admission that the sentencing in India is judge-centric? Raju Ramachandran:I do not think it is a good thing to have uniform sentencing policy. Sentencing is essentially a matter of judicial discretion and a uniform sentencing policy can never take into account the differentiating factors in individual cases. Live Law: Recently in many cases it has been seen that two Judge Benches decide cases without following larger bench decisions. In Sangeet v. State of Haryana, a two Judge Bench went to the extent of saying that they are not endorsing the Constitution Bench in Bechan Singh Case. Another two judge bench in Gurvail Singh @ Gala &Anr. v.State of Punjab went one step further and criticized a coordinate bench of equal strength. Do you think that monolithic structure of Supreme Court, as a court of record is being eroded? Raju Ramachandran:On the one hand judicial discipline requires judges to follow judgments of larger Benches and also of co-ordinate Benches, unless they record reasons why they disagree and refer such matters to larger benches. On the other hand, in matters of sentencing it is always better, even if it can be a little confusing, that judges do not mechanically follow earlier judgments. The ‘monolithic structure’ which you talk about never existed. Unlike the US Supreme Court which always sits in full strength, our Supreme Court sits normally in Benches of two or three judges. Therefore, in the very nature of things you cannot have that kind of uniformity and that may not be a bad thing because there is less chance of perpetuation of errors. Live Law: What are your views on recent electoral reforms by the Supreme Court? You had defended the NOTA judgment. Do you welcome the initiatives of Supreme Court in judicial legislation in this area? Raju Ramachandran:I do not think there has been judicial legislation at all in the NOTA judgment. Giving meaning to a citizen’s freedom of expression, which is what the NOTA judgment is all about, is something very different from judicial legislation. The other two judgments which you seem to have in mind are Lily Thomas and Jan Chaukidar. I have already expressed my view that Lily Thomas is a correct judgment while Jan Chaukidar is wrong. In both these cases again the Court was performing its task of testing the constitutional validity of laws and interpreting them, there was no legislation. Live Law: You were interested in pursuing journalism before entering the legal profession. What is your opinion on the current standards of journalism in India, in particular the increased trend of trial by media? Raju Ramachandran:At the time when I wanted to be a journalist, the media meant mainly the print media, and news on television was for a very limited duration the day. The standards of accuracy were far higher, but investigative journalism had not yet come into its own. Today, the media is omnipresent, thanks to television and the Internet. The chances of many things being brushed under the carpet are less, but with 24 x 7 news and competing channels, there is a rush for instant comments and so discussions are not always well-informed. “Trial by media” in sensational cases cannot be avoided. This puts a heavy burden on the judiciary to ensure that fair trial is not prejudiced. Live Law: These days both judges and lawyers tend to become impatient in court rooms. How can the bar and bench relationship be improved? Raju Ramachandran:Judges are overburdened with work and it is not surprising that they get impatient at times. The impatience of lawyers is sometimes a reaction to the impatience of judges and sometimes a result of their anxiety to get favourable orders for their clients. This has always been a part of litigation, and lawyers and judges rarely take it to heart. There is nothing basically wrong with the Bench-Bar relationship in general; as institutions both respect one another. Live Law: Your career at the Bar has been keenly watched by many. You have an impeccable reputation of being one of the most decent and disciplined lawyers in present day Supreme Court. Can you share the secret with our readers? Raju Ramachandran:I am embarrassed by the compliment. There is no secret here. Each one of us is the kind of person we are because of our innate nature and temperament. I have always tried to remember that a lawyer is an officer of the Court and should not be unduly perturbed by the result of a case. I also believe that there must be dignity of discourse in the courts. But then, it always takes two hands to clap, and so judges also have to contribute to the dignity of court proceedings. Let me also tell you that the court will be a very dull place if all lawyers are ‘decent and disciplined,’ and while I may not be capable of it, aggressive advocacy is required sometimes. Live Law: You have been Supreme Court Bar Association office bearer. But these days, individuals with integrity or stature are not coming forward to take up the leadership of Bar. What do you think are the reasons behind it? Raju Ramachandran:I see two main reasons. One is the reluctance of many senior lawyers to do campaigning, which unfortunately is required considering the size of membership of most Bar Associations, including the Supreme Court Bar Association. The membership was not so large earlier. The second reason I believe is that the expectation of Bar Associations from their Presidents are very different today. In the era of Setalwad and Daphtary, a President of the Bar Association was only required to give moral leadership on the rights of the Bar, independence of the judiciary etc. Today, the President of the Bar Association is expected to get involved, apart from these ‘macro’ issues, in issues pertaining to canteen, parking lot etc. I am sure many Bar leaders feel that they lack the organizational ability required for such things. Live Law: Other than law, what interests you? Does a busy lawyer like you find time for other interests?